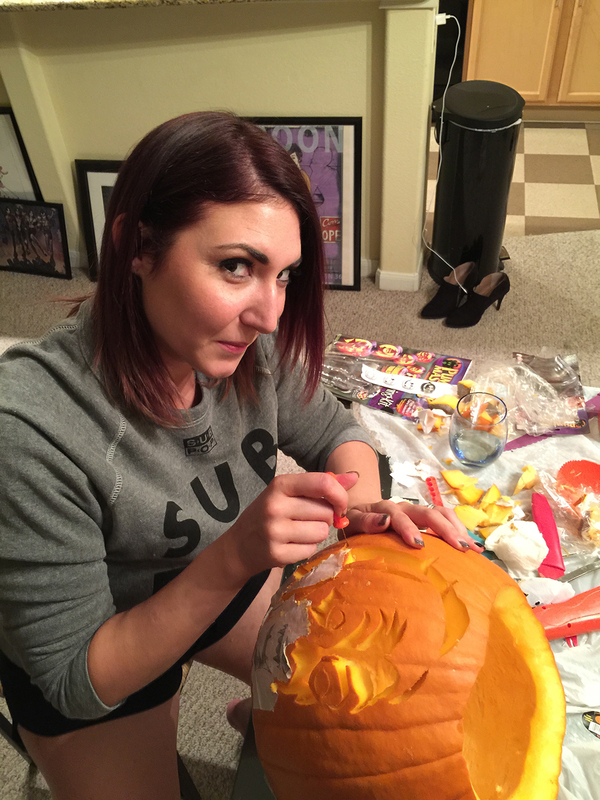 The topic of Halloween came up a few months ago and I was ecstatic to hear that Rhiannon was into it as much as I am... the subject of carving pumpkins came up and we agreed to knock some out when I returned from my work road trip. I got back on Friday... in addition to wanting to spend time with Rhiannon, I really wanted to spend some time at the apartment. I've been home on the weekends, but they've felt like a blur. We made it over to HEB and we scored a number of pumpkins to carve and a few to spruce up the apartment. In addition to picking up pumpkins, we picked up carving tools and a book of templates... I expressed some concerns to Rhiannon about my carving skills, so we agreed that I would select one with a low degree of difficulty. Rhiannon ended up selecting a vampire from the book and I agreed to do a spooky castle.